The phablet sector of the smartphone market has been growing rapidly over the last few months with a number of different companies now joining the fray, and one of these recently launched devices the HTC One Max is seeing its release on US carrier Sprint gathering pace. When the HTC One Max was officially launched it was revealed that Sprint would be getting the device, and we have already heard from Verizon Wireless about the availability of the handset that is scheduled. Now the Sprint version of the HTC One Max has been given certification by the FCC and follows news that we brought to you earlier about the AT&T version also clearing the FCC. The Sprint version of the phablet device is known as the 0P3P700 and runs on LTE bands 25, 26, and 41 which is the evidence that this is the version destined to land on Sprint’s online and store shelves shortly. This will mean that the device will support the carrier’s upcoming TDD LTE network with the band 41 compatibility. The device has been promised to be available in time for the busy holiday shopping season, and to quickly recap the HTC One Max features a 5.9-inch Full HD display that is powered by the Qualcomm 600 quad core processor clocked at 1.7GHz. There is also 2GB of RAM along with 16GB or 32GB of built in storage that is expandable by a further 64GB via microSD card. 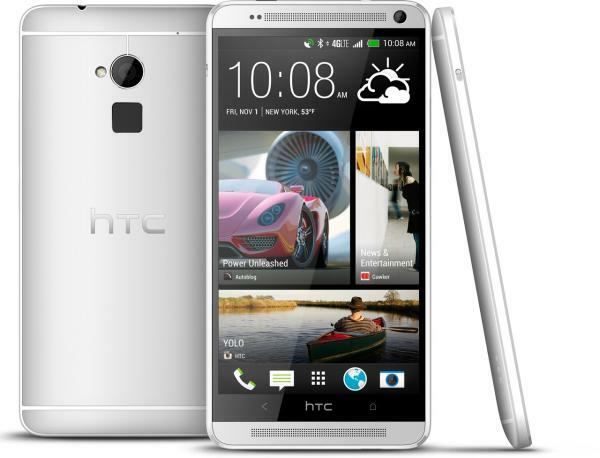 Will you be getting the HTC One Max?